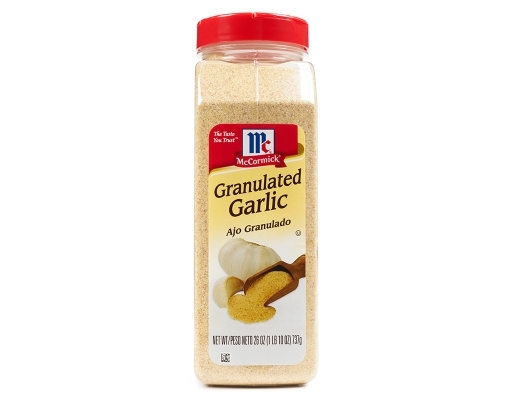 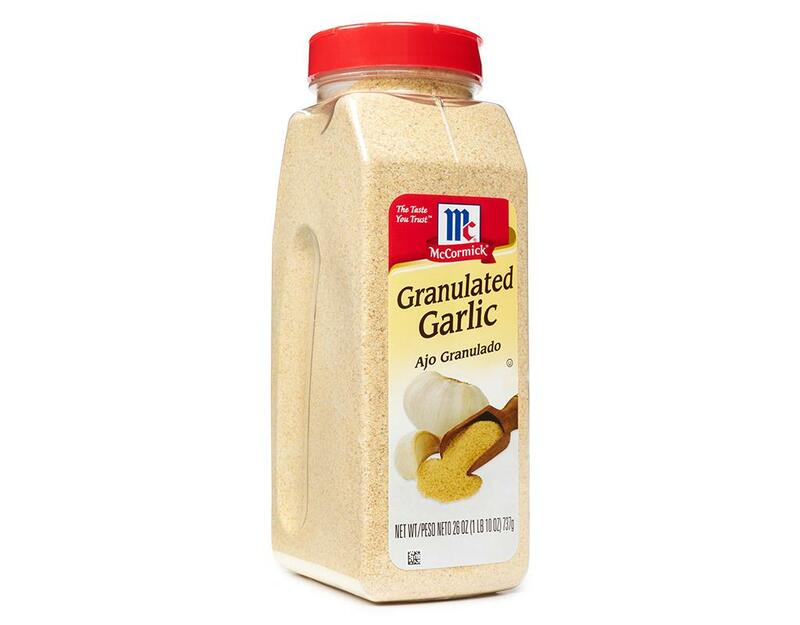 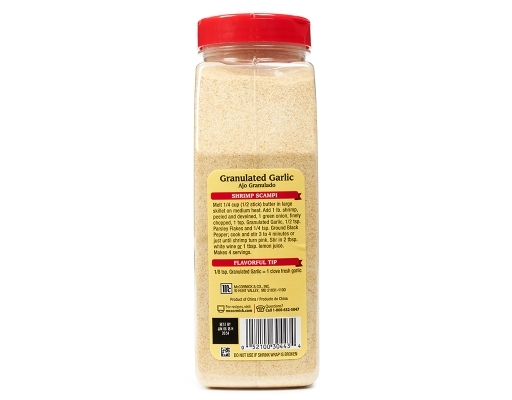 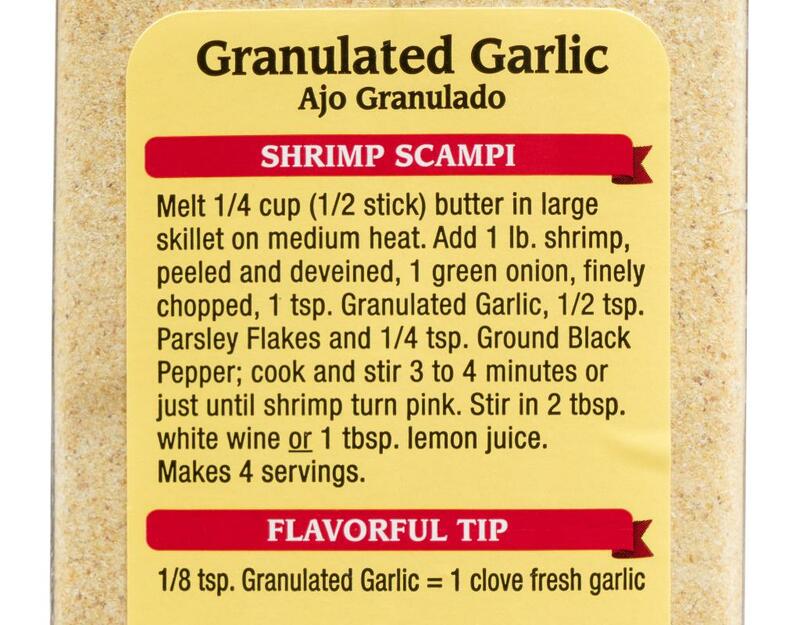 A granulated dehydrated garlic, McCormick Granulated Garlic enhances the flavor of your favorite recipes. Whether sprinkled over a favorite dish or as part of a recipe, it add taste to meals and snacks. 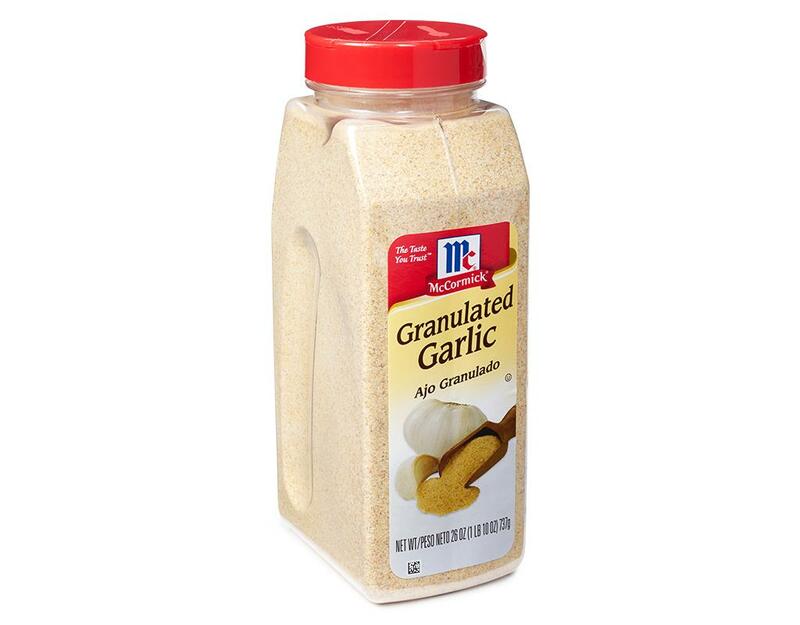 This garlic powder is great for breads, soups, salads, meat, fish and more. 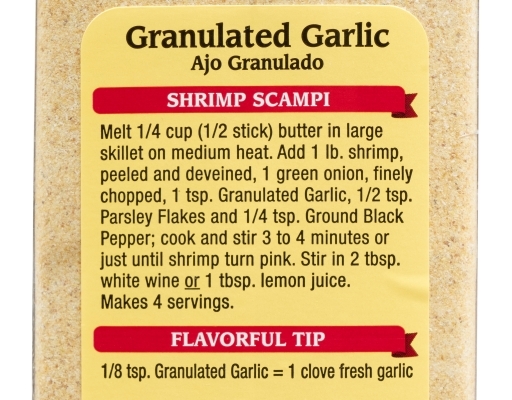 • Add to vegetables, roast chicken, beef stew or pot roast. 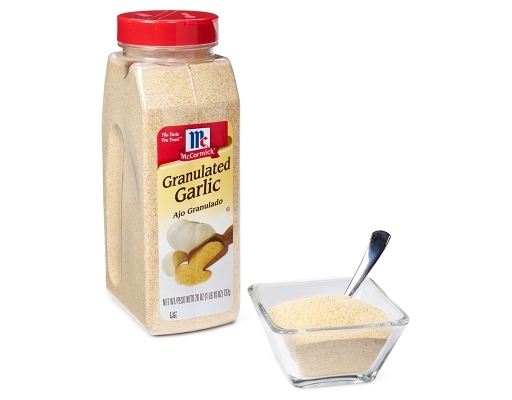 • Use in marinades, gravies, barbecue sauce and spaghetti sauce. • Add to vegetable soup, minestrone and lentil soup.